Today’s contemporary Zorzi Group is the result of hundreds of years of experience; more than 25 generations of talented work by two families with roots in the natural stone history of Italy, precisely in the town of Sant’Ambrogio di Valpolicella near Verona. You might be wondering how, exactly, do we know our families’ history in the stone business goes back more than 500 years? The founder of the Zorzi family stone business was a marble craftsman named Giorgio, a descendant from a group of marble craftsmen natives from North Italy who settled in Sant’Ambrogio di Valpolicella at the beginning of the fifth century. According to the historical research, Giorgio and his son Bernardino were named owners of lands and quarries in the town of San Giorgio and neighboring areas in Valpolicella in the year 1495. Generations of the Zorzi family continued to quarry and craft marble from the 16th through 19th centuries, supplying columns, bases and caps for the construction of Cathedrals and other important buildings, becoming licensed to export marble and other goods, and continuing the family’s tradition as master marble craftsmen and dealers. In the early 1900’s, three Zorzi brothers continued the family’s involvement in Italy’s marble industry Giacomo and Tulio worked for the Pellegrini Family, while a third brother, Antonio Zorzi, became associate partner of the “Coperativa Marmisti” of S.Ambrogio di Valpolicella. Antonio’s son, Ezio, formed one of the area’s first granite companies, exporting slabs and custom cut stone to all of Europe, a business success that was honored by the President of the Italian Republic with the title of “Cavaliere del Lavoro” (Knight of the Work). In 1976, Ezio’s son, Roberto Antonio Zorzi, married Paola Crescini, the daughter of a prominent craftsman with an equally rich family history. Paola’s grandfather, Valentino, built one of the largest companies of his day, learning the art, skill and love of marble from his father. Valentino’s four children helped him develop one of Italy’s first large-scale marble manufacturing operations, a business nearly destroyed by World War II, but preserved by his son (and Paola’s father), Antonio, who spent several years in prison in Germany during the war. In 1983, Roberto Antonio Zorzi and Paola Crescini began their own enterprise, forming the Zorzi Group, specializing in foreign commercial projects in marble and granite. The company supplied and crafted stone for prominent projects around the world, including. The Federal Reserve Bank of Chicago, IL –USA, Granite Swedish Mahogany. The Radisson Hotel of Minneapolis, MN-USA, Marble Breccia Oniciata and special molding inBotticino Classico. The Mason Royal Hotel of Pusan, South Korea, built for the Olympic Games of Seoul, Korea. The Atallah Jarallah Project in Jeddah, Saudi Arabia, which includes supply & installation of more than 60,000 m2 of material by our team of 105 installers. With this project, the Zorzi Group also began offering installation services for large commercial projects worldwide. Roberto continued the long family tradition of innovation by becoming the first Verona stone manufacturer to produce “thin modular granite,” installing the first assembly line for processing modular granite including superior measures up to 24” x 24”. This phase of experimenting with machinery and research required a great deal of energy and financial investment. When the European market suffered a downturn in the mid-90’s Roberto decided to take his experience and knowledge to the United States. In 1995, after winning a “visa lottery,” Roberto, Paola, and their five daughters moved to Seattle, Washington, beginning a new chapter in the Zorzi family stone business. In 1999 Roberto and Paola founded Antony Architectural Stone, a corporation for the import, supply, fabrication, and installation of architectural and dimensional stone in the United States and around the world. Today the Zorzi family is expanding its U.S. processing facility by importing new, custom-made machinery to revolutionize natural stone fabrication. The company’s new, 3D digital manufacturing center will allow Antony Architectural Stone to serve local, national and international markets by increasing efficiency, reducing waste, optimizing work time and productivity. More than 500 years after the Zorzi family began hand-carving marble into durable, beautiful works of art in Italy, Antony Architectural Stone is positioned to satisfy nearly any custom architectural and dimensional stone requirements in the building industry. 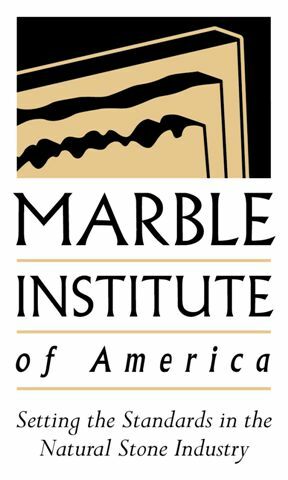 The pioneer courage and determination of our family continues today, as we build another chapter of tradition in the marble and granite industry.